[dropcap]H[/dropcap]umility is the quality of viewing others as more important than yourself. The dictionary explains it as having a “modest view of one’s own importance”. This does not mean having a low self-esteem. Rather, it’s having a healthy self-esteem that enables us to be humble, knowing that we don’t need the praise and recognition of others to boost our self-worth. 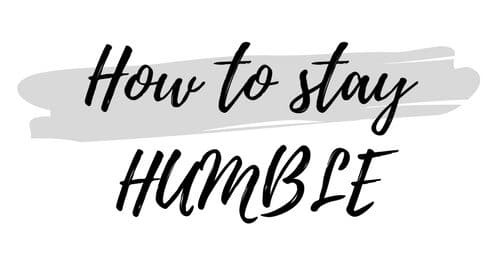 This popular phrase sums it up pretty accurately: “To be humble is NOT to think less of yourself, but to think of yourself less.” It is the true form of selflessness (Philippians 2:3-4). In practical terms, a humble person knows their strengths but seeks to build others up, rather than exalt themselves above others. I’d also like to point out that there’s a difference between pride and confidence. When we think of pride, we usually equate it to being boastful, self-absorbed, attention seeking and envious. 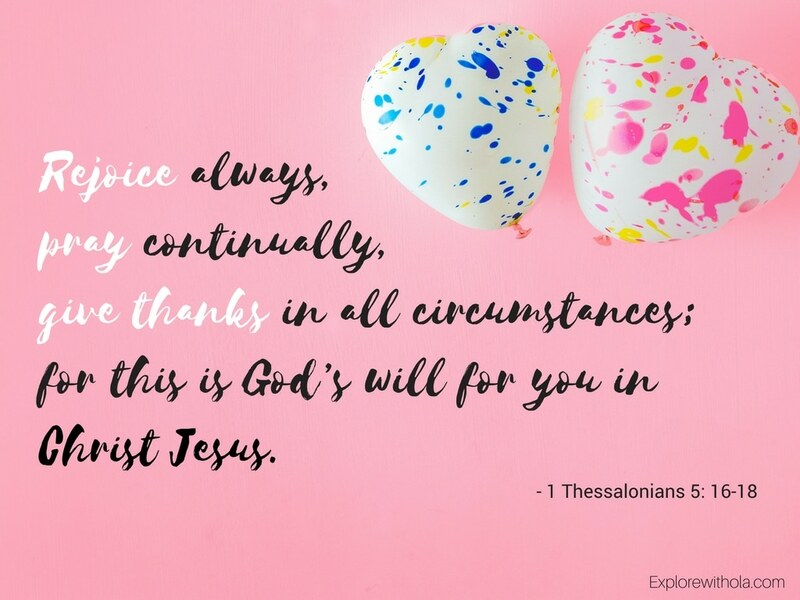 Confidence, on the other hand, is a consequence of having a healthy self-esteem; the optimal form being God-fidence which comes from having your identity grounded in something far greater than yourself, God! I believe confidence is a silent trait whereas pride makes noise. Hence, confidence and humility actually go together. A humble person can be confident in their abilities, and still take criticism or the opinions of others well, but refrain from keeping the focus on themselves. 5 In your relationships with one another, have the same mindset as Christ Jesus: 6 Who, being in very nature God, did not consider equality with God something to be used to his own advantage; 7 rather, he made himself nothing by taking the very nature of a servant, being made in human likeness. 8 And being found in appearance as a man, he humbled himself by becoming obedient to death— even death on a cross! 14 Why, you do not even know what will happen tomorrow. What is your life? You are a mist that appears for a little while and then vanishes. 15 Instead, you ought to say, “If it is the Lord’s will, we will live and do this or that.” 16 As it is, you boast in your arrogant schemes. All such boasting is evil. 12 Before a downfall the heart is haughty, but humility comes before honour. Is it prideful to post photos of yourself or your lifestyle on Instagram in order to get likes and compliments? If this question leaves you feeling uneasy, then we are in the same boat. I was thinking about it while putting this post together and I believe that the social media culture does leave an opportunity for pride to creep into our hearts. That may be what causes you to check back after a few minutes to see how many likes you’ve gotten or how many comments are on display exalting your person. I agree that it is human nature to love praise but I also believe we can’t claim to be humble if the time we spend on social media is solely with the intention of making ourselves look better to/than others. If we choose to spend part of our lives on this thing called social media, it has to be a space where we practice loving others as well – by being selfless and humble. There’s nothing wrong with curating a beautiful Instagram feed. However, I believe that also choosing to encourage and acknowledge the beauty and talent of others, spread a positive message and balancing that perfect facade with some realistic view of our lives, will make a world of difference. There is no magic formula that will make pride vanish all of a sudden, but I’ve learned some practical tips that can help with developing a more humble mindset and lifestyle. It is true that no one is perfect. You may be the best at something but you can’t be the best at everything. It is good to accept our weaknesses because that is when God’s power is made perfect (2 Corinthians 12:9). We also need to acknowledge the fact that we all make mistakes and we should be willing to forgive freely. We have all, at some point, made some questionable choices and so we can’t reasonably judge others. A major trait of pride is envy which results from comparing ourselves to others. Our standard should really be the Creator, not the creation. Why be preoccupied with becoming better than others when you can focus on becoming the best that God made you to be? I have to remind myself this all the time, that God made everyone in their own uniqueness and so someone else’s success will look different from what your “success” is. Because at the end of the day, the goal is to fulfil God’s purpose for your life and not someone else’s. We are who we are, and where we are today because of God, other people, and ourselves. Sometimes we forget that there are three factors to that equation.We should acknowledge the contributions others have made towards bringing about our achievements. We also need to remember to always give glory to God. For example, when we receive comments praising our beauty, it shouldn’t make us feel better than others since we didn’t create ourselves. Instead, all the glory should be to God. It only takes a moment to throw a compliment someone’s way and make their day. Just like we love to receive compliments, we should love to give them out as well. When we make it a habit to focus on the talents and strengths of others, we realize that everyone is just as special and has something very unique to offer the world. No one likes a know-it-all. I am learning to practice more restraint in conversations myself. Sometimes we brag unintentionally. There is usually no need to talk about your achievements or glorify your opinions and choices at the expense of others’. We should learn to listen to understand not just to respond, and also not to talk down to people or dismiss their opinions as irrelevant. 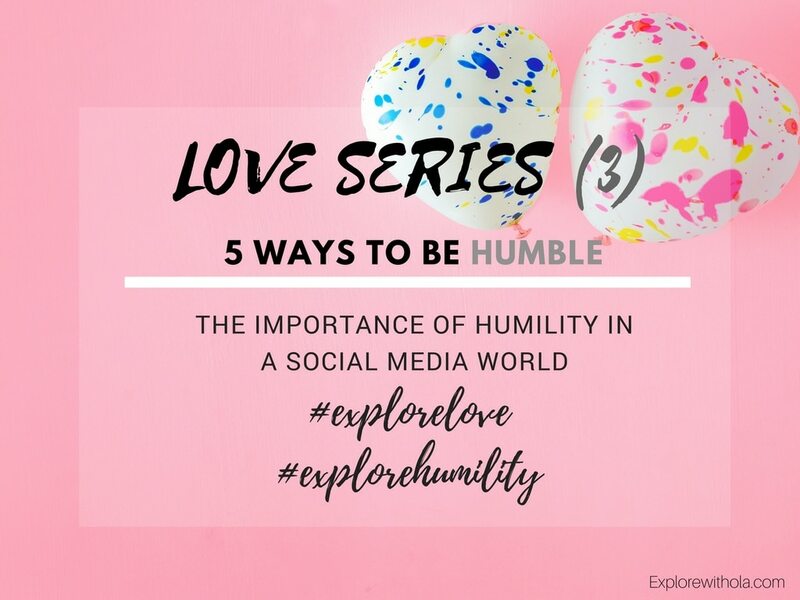 P.S: Writing this post has been very impactful for me, as through research and reflection, I uncover areas where I need to work on being more humble, I am praying for a humble spirit and continuously challenging myself to think of me less and of others more. I hope you will too. Previous Post PREP YOUR CLOSET FOR SPRING – IN 5 EASY STEPS! Love this particular post !! Beautiful! I love this piece…very timely.. Well done girl!